The Apple Watch will add features that allow it to take high-quality heart readings and detect falls. 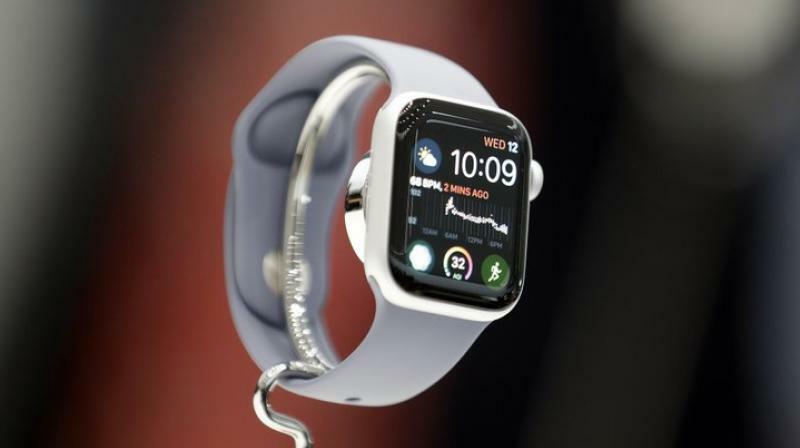 In its fourth incarnation, called Series 4 and due out later this month, the Apple Watch will add features that allow it to take high-quality heart readings and detect falls. It’s part of Apple’s long-in-the-making strategy to give people a distinct reason to buy a wrist gadget that largely does things smartphones already do. Since the Apple Watch launched in April 2015 , most people haven’t figured out why they need to buy one. Apple doesn’t release sales figures, but estimates from two analysts suggest the company shipped roughly 18 million watches in 2017. Apple sold almost 12 times as many iPhones — 216 million — last year. Apple CEO Tim Cook has long emphasized the watch’s health and fitness-tracking capabilities. The original version featured a heart-rate sensor that fed data into fitness and workout apps so they could suggest new goals and offer digital “rewards” for fitness accomplishments. Two years later, Apple called its watch “the ultimate device for a healthy life,” emphasizing water resistance for swimmers and built-in GPS for tracking runs or cycling workouts. In February, the company announced that the watch would track skiing and snowboarding runs , including data on speed and vertical descent. The latest version, unveiled Wednesday, is pushing the health envelope even further — in particular by taking electrocardiograms, or EKGs, a feature given clearance by the US Food and Drug Administration, Apple said. The watch will also monitor for irregular heartbeats and can detect when the wearer has fallen, the company said. Apple’s watch will use new sensors on the back and on the watch dial. A new app will say whether each reading is normal or shows signs of atrial fibrillation, an irregular heart rate that increases the risk of heart complications, such as stroke and heart failure. Apple says the heart data can be shared with doctors through a PDF file, though it’s not yet clear how ready doctors are to receive a possible flood of new EKG data from patients — nor how useful they will find the electronic files. Eric Topol, a cardiologist and director of the Scripps Research Translational Institute, warned that the EKG feature could spur more tests than necessary, result in unnecessary prescriptions for blood thinners and overwhelm doctors with calls from patients who probably don’t need treatment. Apple said the EKG feature will be available to US customers later this year, an indication that it may not be ready for launch. Fall detection could also be significant, especially for elderly users. The new Apple Watch claims to be able to tell the difference between a trip and a fall — and when the latter occurs, it will suggest calling 911 (or the equivalent outside the US). If it receives no response within a minute, the watch will automatically place an emergency call and message friends and family designated as emergency contacts. Only certain Apple Watch models support cellular calls, but those that don’t can still make emergency calls when near a paired iPhone or Wi-Fi service. “I can see kids buying one for their parents and grandparents,” analyst Patrick Moorhead of Moor Insights said.